"Where the Birds go for holiday..."
for bird-watchers. . The marvelous birds� lagoon is located at Thattekkad, near Kochi in Kerala most appropriately called God�s Own Country! With serene backwaters, wonderful beaches and lovely hill stations, the state of Kerala is generously gifted with a natural beauty that is rich in culture, tradition, Ayurveda and Yoga! The Soma Birds Lagoon is near the Salim Ali Bird Sanctuary., by far the most idyllic location for tranquil bird-watching. It is the largest Tropical Bird Sanctuary in India. Soma Birds Lagoon is the first Bird-Watching Resort in Kerala owned by the Somatheeram Ayurveda Group, which is internationally renowned for its conscious efforts towards the overall health of humanity and environmental preservation. The Somatheeram Ayurveda Resort was the first Ayurveda Resort in the world. As the bird diversity at Thattekad is phenomenal, it is a memorable true-life bird adventure at Thattekad! Soma Birds Lagoon is all set to provide the maximum comfort to avid birders from around the world. Founded by Chairman and Managing Director Mr Baby Mathew, Somatheeram Ayurveda Group Resorts are established all along the coasts of Kerala. The Group is now promoting Bird Watching Tourism through Soma Birds Lagoon Bird-Watching Resort with interesting gala events, birds club, with valuable information on a whole list of the birds of Kerala. The wild life and bird sanctuary in Thattekkad make the place a hot spot for wild life & bird photography. The period for migratory birds in Thattekkad is seen to be from the month of November to May. Rare birds like the Ceylon Frogmouth are also found in Thattekkad. It is a place where different varieties of migrant birds meet with avid bird-watchers from around the world. And in Thattekkad, the proximity of Soma Birds Lagoon and the Salim Ali Bird Sanctuary make an interesting liaison for visitors to enjoy relaxed viewing as well as healthy rejuvenation to the mind and body. Somatheeram Group is now promoting Birdwatch Tourism through Soma Birds Lagoon birdwatching resort with bird events, bird club and full Bird List of Kerala. 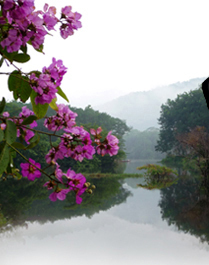 Wild life and bird sanctuary in Thattekkad makes it hot spot for wild life & bird photography. November to May is the period of Migratory birds in Thattekkad. Rare birds likethe Ceylon Frogmouth is also found in Thattekkad. 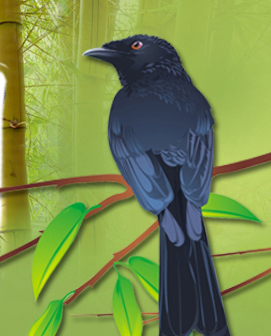 The well-known Ornithologist, Dr. R Sugathan, is an ardent birder who is based at Thattekad. The ardent birder who was a student of Dr. Salim Ali is considered to be the best guide in South India. His passion for bird watching is apparent in all his activities.